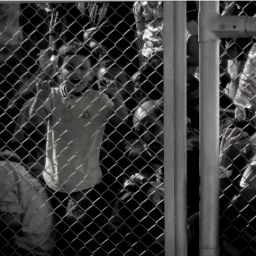 One year since the EU-Turkey Statement: refugees trapped in a buffer zone - R.S.A. A policy note of the RSA team and partner of PRO ASYL in Greece lays open the fatal consequences the EU-Turkey-deal has had for refugees in the twelve months since its implementation. The EU-Turkey Statement (»EU-Turkey deal«) that came into force on March 20th2016 has transformed the socio-political dynamics characterizing the so-called refugee crisis narrative as well as the function of the EU-hotspots on the Greek islands. It produced a new status quo regarding developments of refugee and migration diplomacy in the region and beyond, as well as on the ground. The EU-Turkey deal had direct and substantial repercussions on about 14,000 refugees that have become its subjects in March. Refugee Support Aegean (RSA) members have for months monitored developments on the islands of Lesbos, Chios, Leros, Kos and Samos. The deal has turned the Greek islands into a buffer zone where refugees in limbo are struggling to survive amidst the deterioration of living conditions. Serious malfunction and instrumentalization of asylum procedures based on political considerations leave the most vulnerable of them exposed to acute weather conditions, exploitation, violence and severe abuse. Lives have been lost in the EU-hotspots due to political imperatives and no one took responsibility for these deaths. Meanwhile local societies on the islands have been used so far as European »Nauru islands« with the tensions between locals and refugees escalating over the last few months and increasing xenophobia and racism among the locals.